"International indigenism" may sound like a contradiction in terms, but it is indeed a global phenomenon and a growing form of activism. 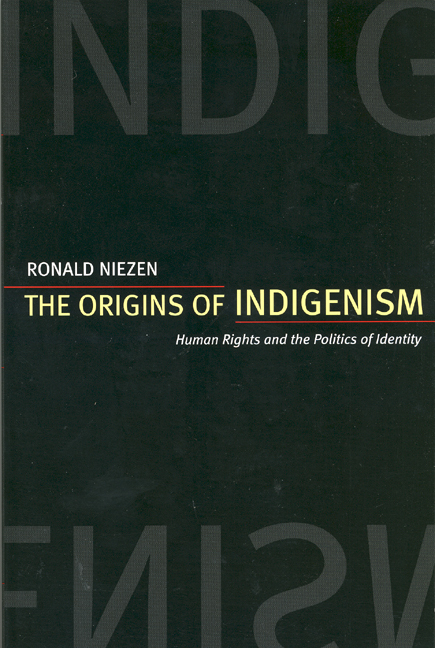 In his fluent and accessible narrative, Ronald Niezen examines the ways the relatively recent emergence of an internationally recognized identity—"indigenous peoples"—intersects with another relatively recent international movement—the development of universal human rights laws and principles. This movement makes use of human rights instruments and the international organizations of states to resist the political, cultural, and economic incursions of individual states. The concept "indigenous peoples" gained currency in the social reform efforts of the International Labor Organization in the 1950s, was taken up by indigenous nongovernmental organizations, and is now fully integrated into human rights initiatives and international organizations. Those who today call themselves indigenous peoples share significant similarities in their colonial and postcolonial experiences, such as loss of land and subsistence, abrogation of treaties, and the imposition of psychologically and socially destructive assimilation policies. 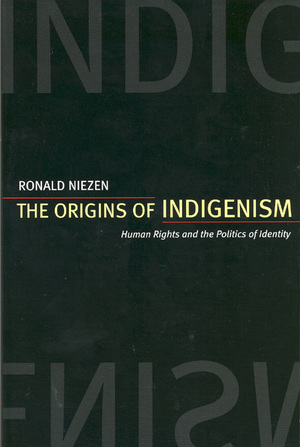 Niezen shows how, from a new position of legitimacy and influence, they are striving for greater recognition of collective rights, in particular their rights to self-determination in international law. These efforts are influencing local politics in turn and encouraging more ambitious goals of autonomy in indigenous communities worldwide. Ronald Niezen, author of Spirit Wars (California, 2000), is Visiting Senior Researcher of the Institute for Human Rights at Åbo Akademi University in Finland. 1. A New Global Phenomenon?